1 12' American Flag Plastic Banner. 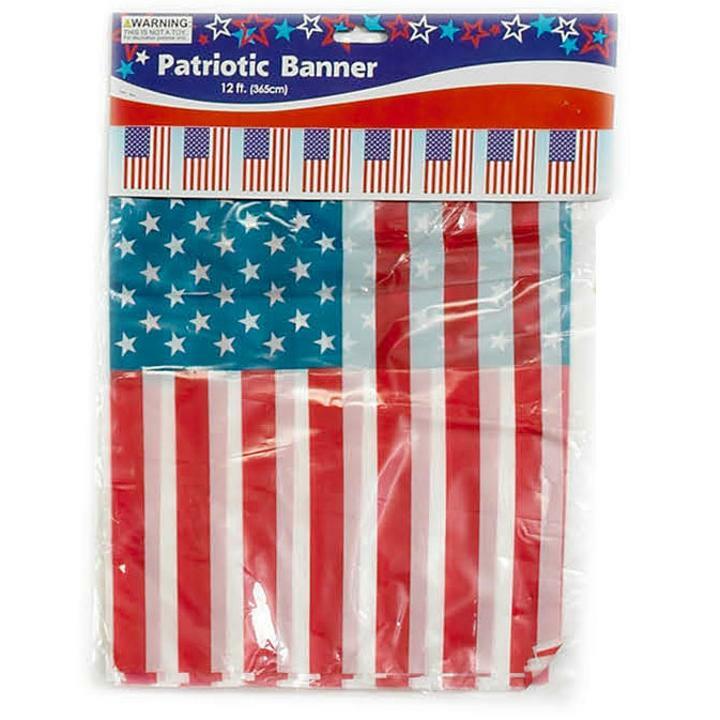 Each banner features bunting or fan style American flags in red, white and blue colors.This banner can be used as one long banner or cut into several smaller banners. Perfect for Fourth of July, Veteran's Day and Memorial day parties. This versatile decoration can be used in classrooms, for elections or simply to show Patriotic pride.